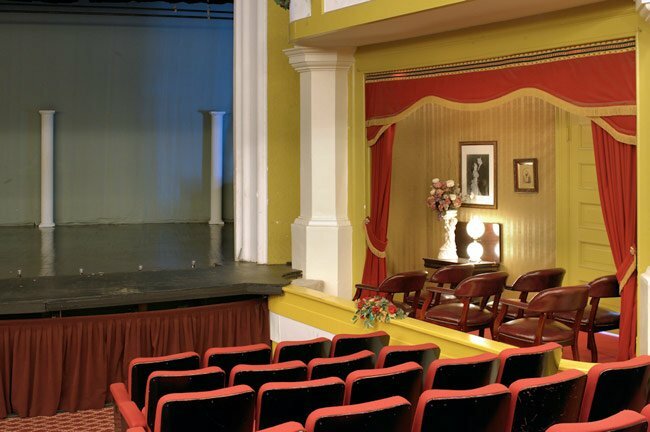 The Abbeville Opera House opened in 1908 as a venue for audiences in western South Carolina to see the touring vaudeville, minstrel, and burlesque troupes which performed on “the circuit” between New York and Atlanta. 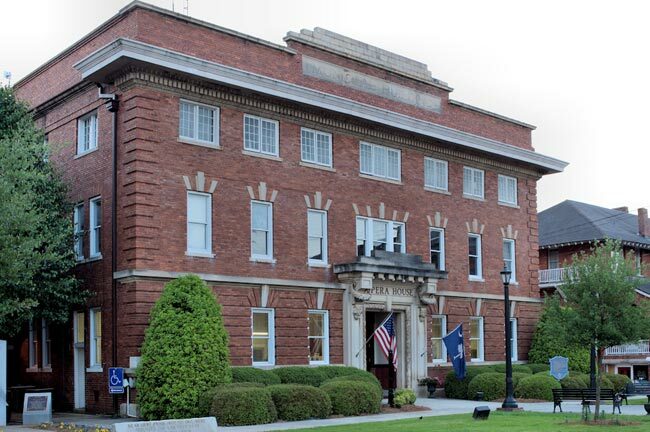 The auditorium, stage, fly loft, and cat walk were said to be the “equal in beauty of architecture and modern conveniences of any in the state.” All in all, the Opera House established Abbeville County as the cultural center of the Upstate. At the turn of the century, vaudeville was in its heyday. The hall hosted musicals, Broadway shows, the Ziegfeld Follies, and famous entertainers of the day such as Jimmy Durante and Fannie Brice. With the advent of motion pictures, the Opera House began to accommodate both film and live theater. In 1927, The Jazz Singer was the first “talkie” to come to Abbeville. As movies grew in popularity, live road shows began to disappear. However, early motion pictures required full crews of musicians and sound-effect technicians. They were impressive and still provided the awe of “live” show business. In time the old Opera House turned exclusively to cinema. Business boomed through the 1930s and 1940s, but changes in ownership, the economy, and a lack of public demand forced the house to close in the 1950s. Fortunately the late 1960s saw efforts to revive live theater in Abbeville, and in time the Opera House was restored. Little by little, money was raised, restoration work progressed, and in 1978, the Opera House once again had a summer theater season. Thornton Wilder’s Our Town was the first show produced after the restoration. 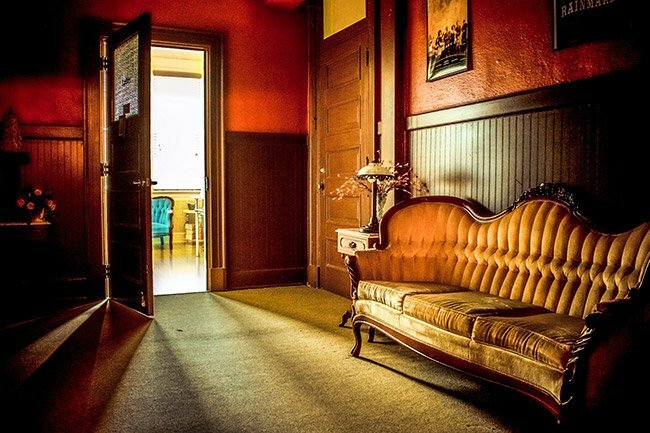 Today Abbeville’s Opera House is fully restored to its turn-of-the-century splendor with two modern concessions to comfort – air conditioning and rocking chairs! The curtain is raised and lowered using the same rope-pulled rigging system as in 1908, making it the only “hemp house” remaining in South Carolina. Today the Opera House attracts more than 20,000 visitors to Abbeville during its winter and summer seasons. 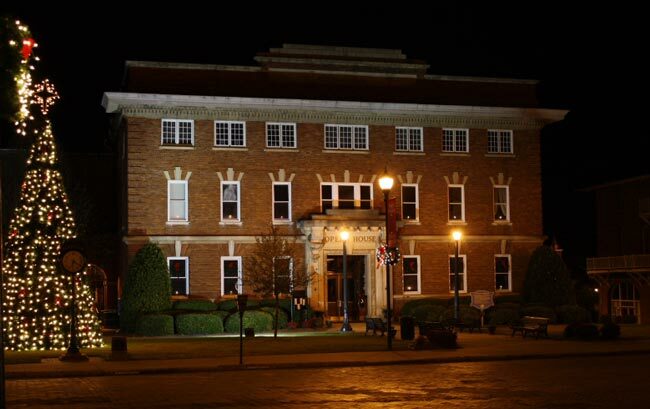 Located on the town’s Court Square, next to the Abbeville County Courthouse, the Opera House is open weekdays from 8:30 AM to 5 PM for self-guided tours. 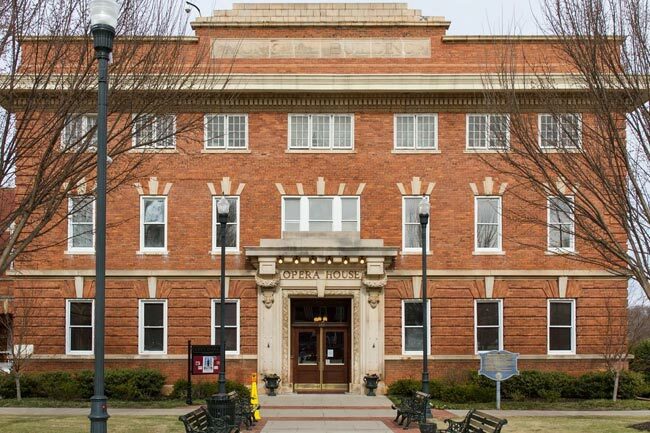 Abbeville Opera House opened its doors in 1904 and served as a cultural center for theatrical productions, public speeches, and other town events. The Opera House drew prominent attractions such as the Ziegfield Follies, George White Scandals, Jimmy Durante, and Fanny Brice. 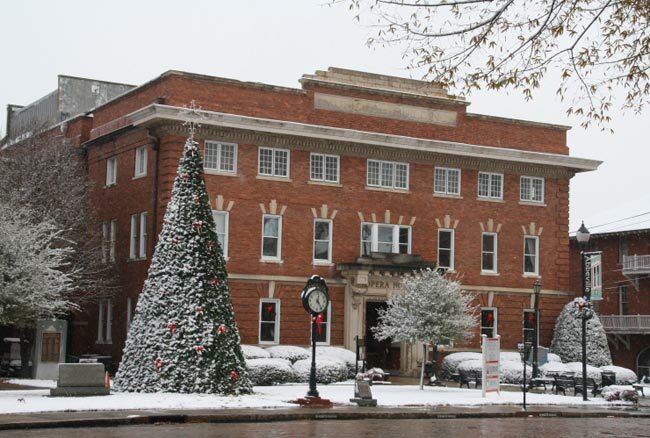 This three-story brick building is built in the Beaux-Arts classical style and is located on Abbeville’s public square adjacent to the courthouse. The Opera House has unusual brickwork on the main floor, which includes a starburst design around keystones, an elaborate entrance crowned by large diminishing stone slabs, masonry quoins, and a large entablature with dentils and fretwork. The design of the Opera House closely copied Atlanta’s Grant Theatre and Richmond’s Lyric, with a huge 7,500 square-foot stage to accommodate large touring casts. 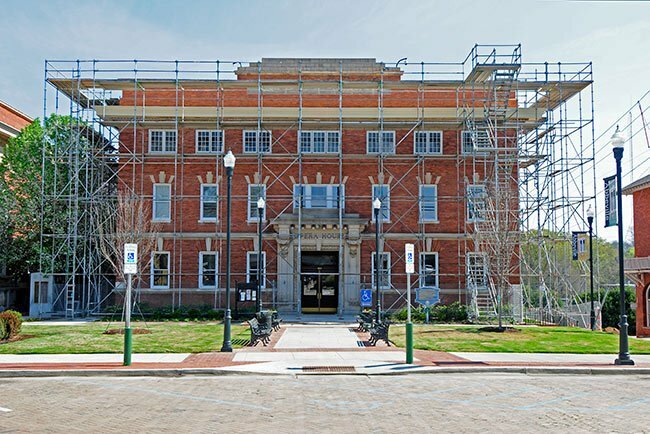 The Opera House is one of few remaining in South Carolina, and it was fully restored in 1968. According to local tradition, William Jennings Bryan spoke from the Opera House stage during his campaign for President of the United States. 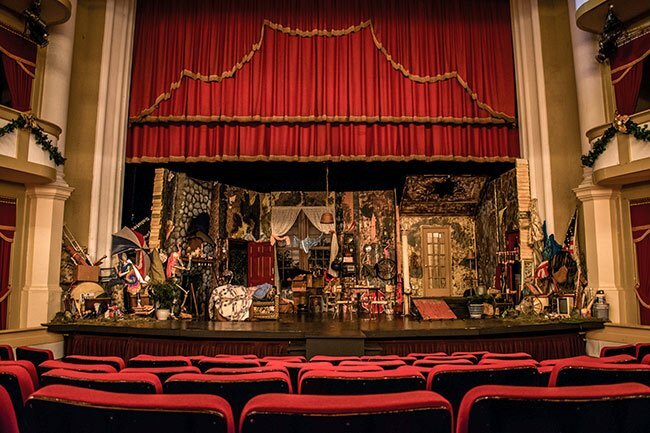 Photographer Mark Clark, an Abbeville native currently living in Winnsboro, remembers when his high school senior class presented the play, You Can’t Take It with You, at the opera house in 1982. He was cast in the small role of Wilbur C. Henderson, an IRS agent sent to collect back taxes from a character who doesn’t believe in paying them. I worked at the Opera House as a cashier while attending high school. I later worked for attorney Mr Ralph Syfan next door to the box office (for 5 years). I was in the second play, "The Detective Story", put on by the little theater group. The Opera House was still a movie theater so the play was at the high school audiotorium. My future husband was the theater manager at the time. I rememeber the first play I was in was "Fiddler on the Roof" followed by "Camelot" possibly in 1977 or 1978. I feel that both productions were as good as I ever seen. I also remember begging my father to donate from his mill, Bloomsburg Mills, seats for the renovation. Thank Goodness, he did!